Miller Center is located on Gibbs Street opposite the Eastman School of Music’s Main Building. The IML office is located on the first floor, across from the bookstore. 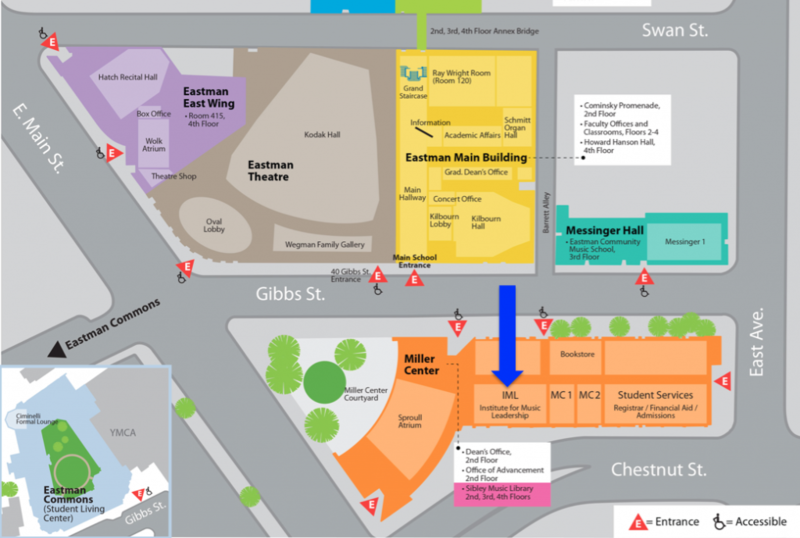 View the Eastman campus map, showing the location of the IML department (blue arrow) as well as all main ESM campus locations.